Here are your top Kroger Deals this week. Please visit the Kroger Coupon Matchups Page for a full list of deals. 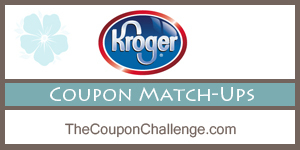 Please visit the Kroger Coupon Matchups Page for a full list of deals. Below are your top Rite Aid Coupon Matchups are done! Please visit the new Rite Aid coupon matchups page for a complete list of deals! View the Rite Aid Coupon Policy plus see more Rite Aid Save Now Policy Information to make the most out of your Rite Aid shopping trips. 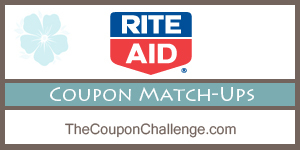 Make sure to click HERE for the Rite Aid coupon matchups page to see a complete list of deals! 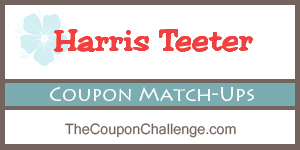 Harris Teeter Grocery Store Coupon Matchups are done! Below are the top deals for the week. Please visit the new Harris Teeter coupon matchups page for a complete list of deals! Limit 3 like coupons per transaction, 2 like internet printables per transaction. Below are your top weekly CVS deals! Please head over to the CVS coupon matchups page for the complete list of store deals. **Print the official CVS Coupon Policy to keep in your coupon binder. New to CVS? Read my Getting Started at CVS post to learn how to make the most of your shopping trip. 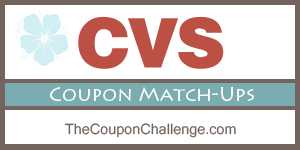 Click HERE to see the complete list of CVS Coupon Matchups!